There are a couple of things that are almost certain to happen in the Fall year after year. The first is that there is going to be an overload of pumpkin flavored anything everywhere. The second is that leopard print is going to start popping back up, making its way into fashion. 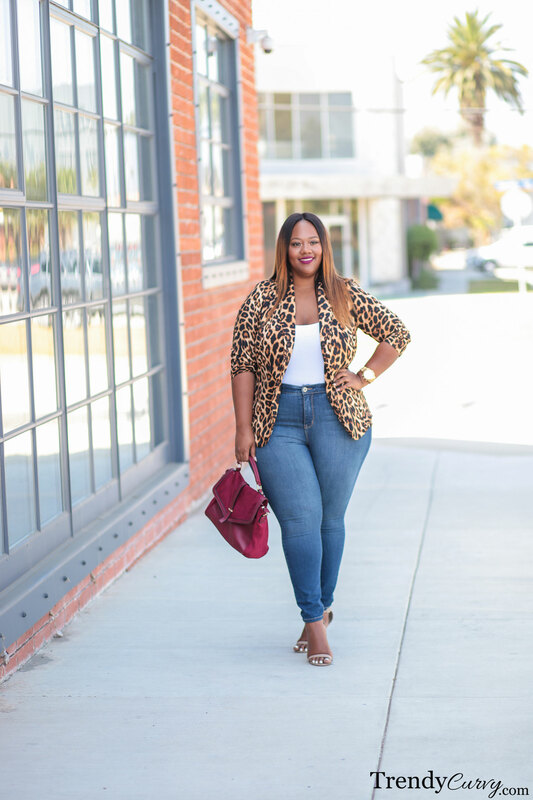 Just as pumpkin is synonymous with Fall, leopard is synonymous with Fall fashion. This timeless print can be seen on just about any time of garment and accessory. Although it is a rather loud print, it somehow serves as almost a neutral, being able to be paired with so many different colors and styles. It makes it the ultimate versatile piece for your Fall wardrobe. Blazers are already one of my go-to items so a leopard print blazer was right up my alley. 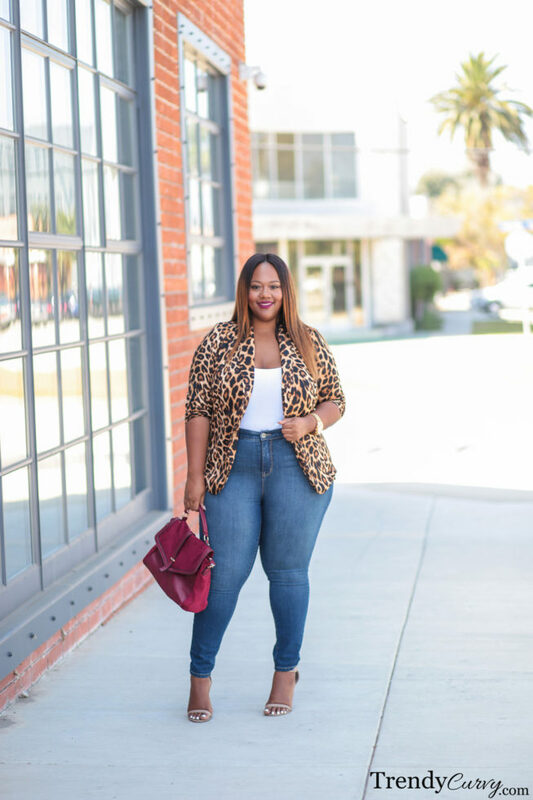 At first I was a bit hesitant to purchase since blazers are more of a classic garment and leopard print can be a bit busy. However, I took the leap and I’m so glad that I did. 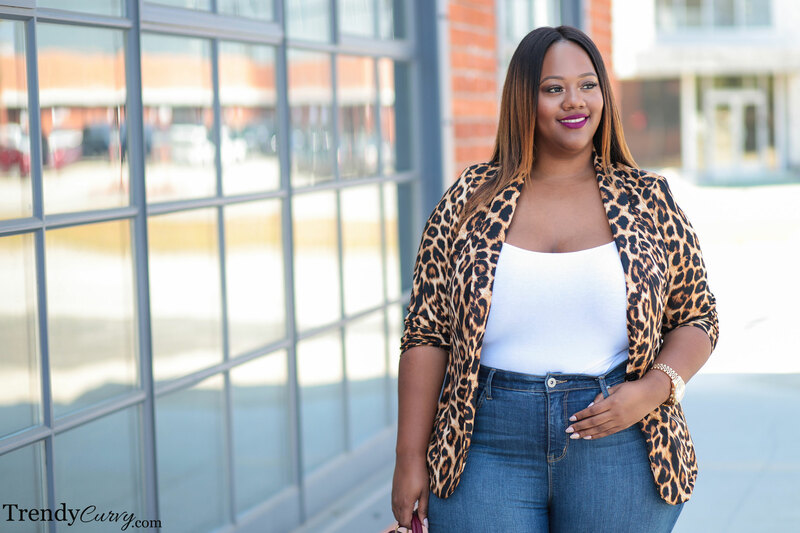 The jacket most definitely stands out and is a statement piece but I can style it in different ways. For a more daytime look, I can wear it as I have done here with skinny jeans and a tank. I can also make it a more nighttime look with a leather skirt and pumps or even a black jumpsuit. There are many options! 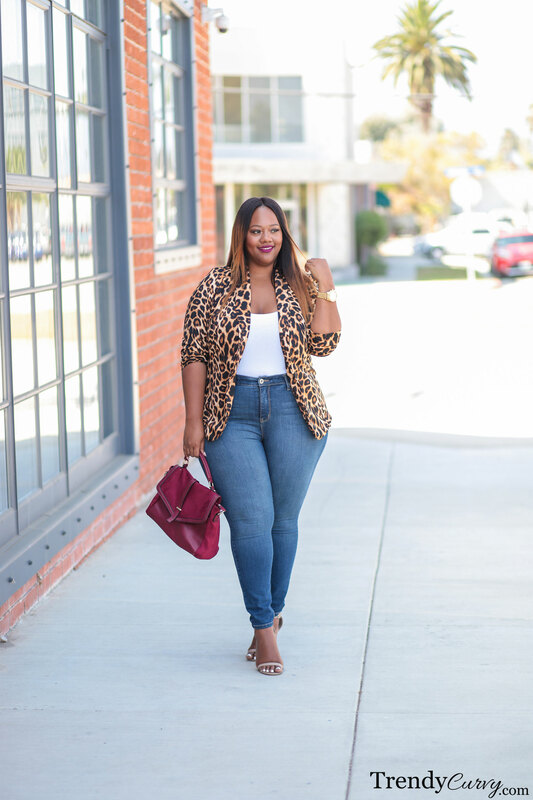 I’ve listed some other leopard print options below so that you can have this quintessential piece in your closet. 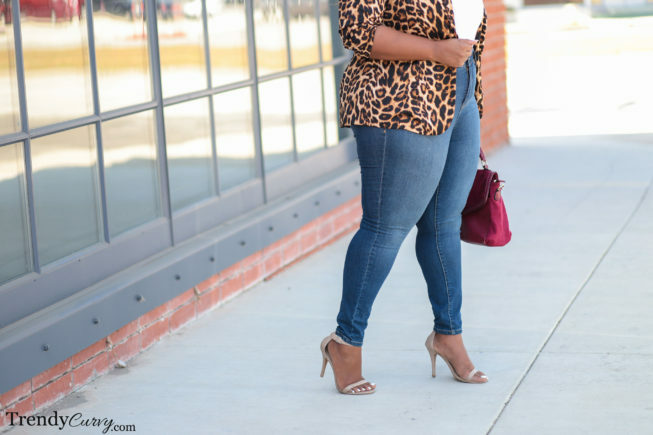 Leopard Print or basically animal print is one of my favorite trends this season. And I’m %100 here for it. I love this blazer and how you added a pop of color with the clutch. Oops, I commented on the same one. Please delete these comments, Kristine and I’m sorry for spamming your blog. You are living to your blog’s name Kristine! 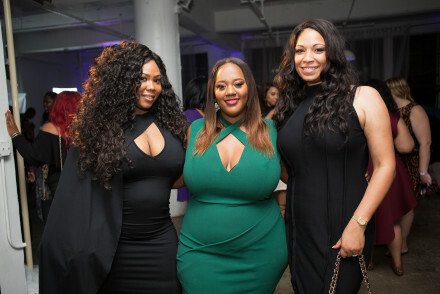 This is both trendy and curvy. I think my favourite trend this season is the animal print and it’s everywhere, and I’m %100 here for it. This is a very nice look. As you stated this blazer can be used to create so many options. I am just excited thinking about them. I also love the pop of color with the purse.